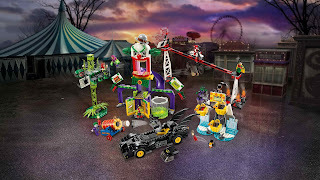 the jokerland has the joker ride, poison ivy ride,harley quinn ride, the penguin ride and a clown robot. 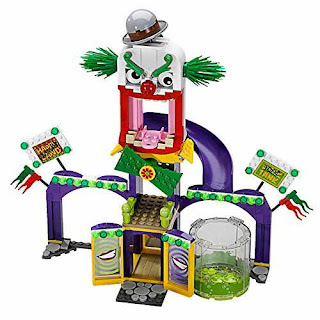 the joker ride has a clown face with a tiltable hat, rollable eyes, a mouth with podium for the joker, a slide, a poison pool chamber and a mirror house. 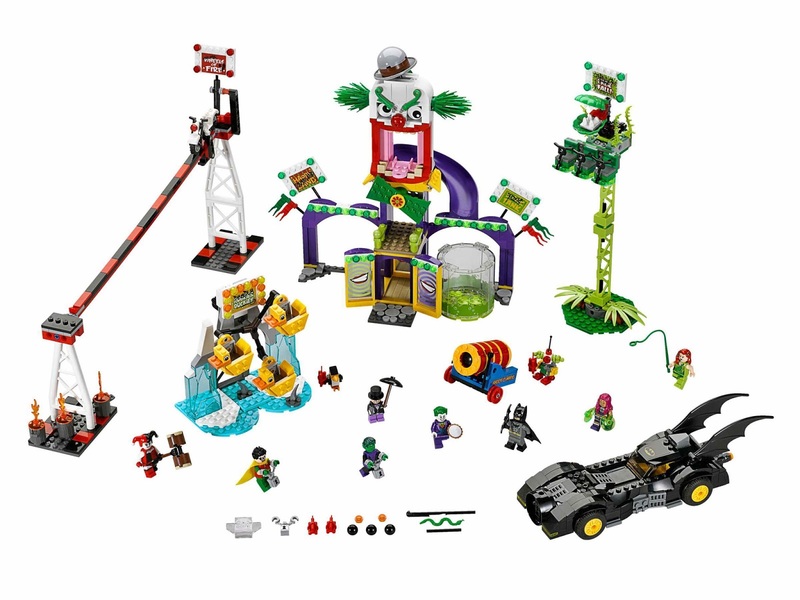 the poison ivy ride has 3 seats, a man eating plant with snappable jaws and handcuffs. 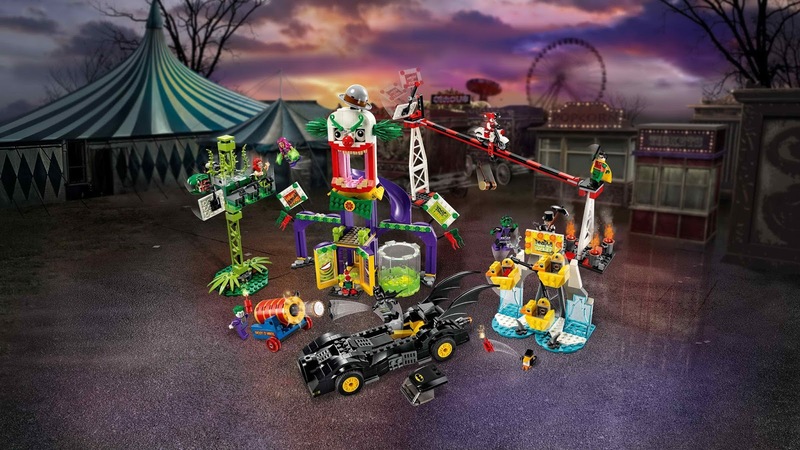 the harley quinn ride has a bike, an attachment underneath for captured passenger, handcuffs, super jumper activated bike launch function and transparent flame. the penguin ride has rear wheel operated rotatable duck seats, the penguin’s podium with super jumper activated toppling function, a penguin, handcuffs, 3 dynamite sticks and transparent ice. the clown robot has a fireable cannon, 3 cannon balls and a dynamite stick. 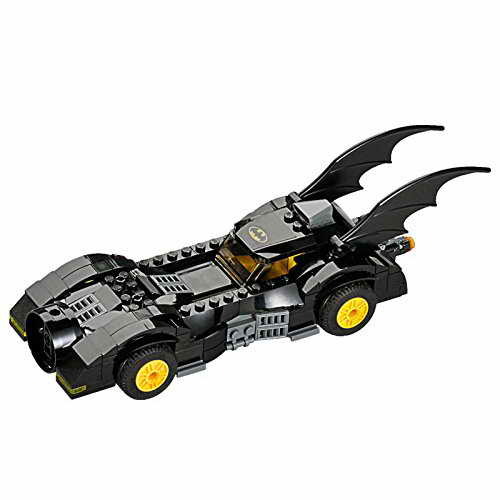 the batmobile has an openable cockpit, 2 spring loaded missiles, 2 rear stud shooters, giant batwings and batman emblem logo. 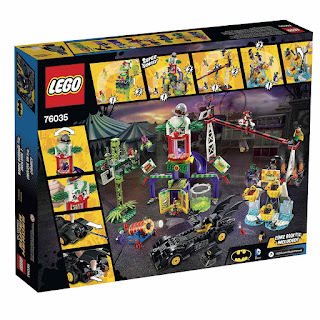 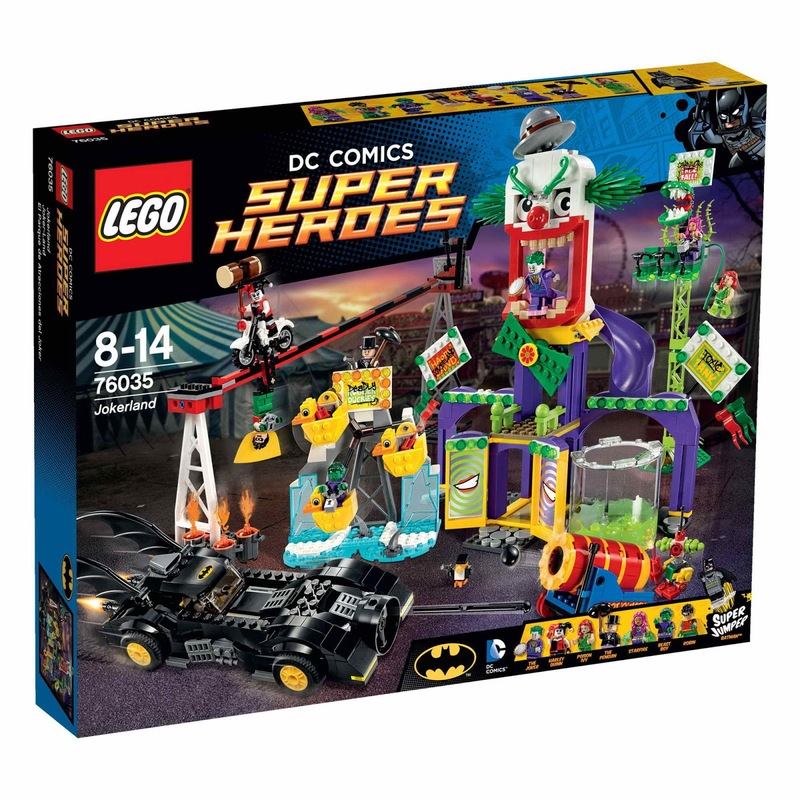 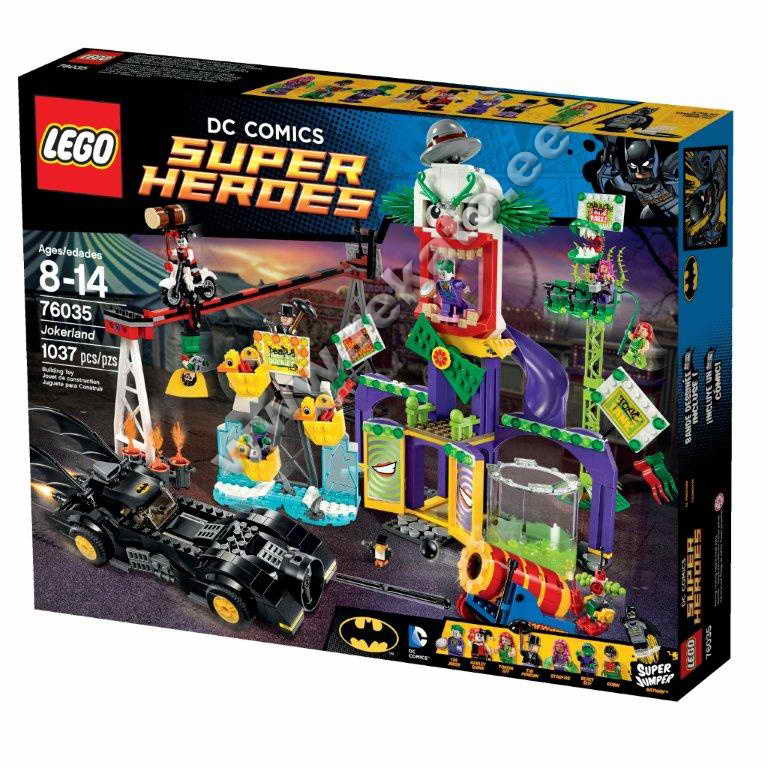 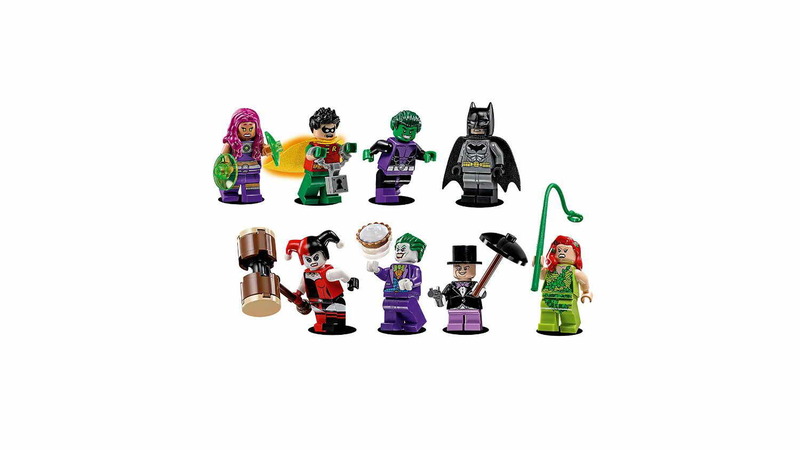 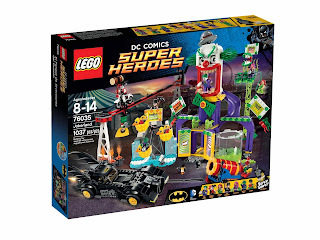 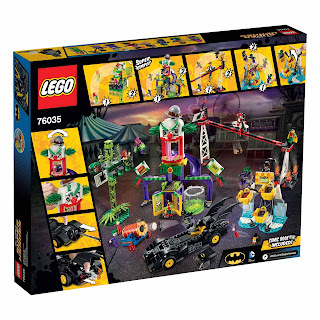 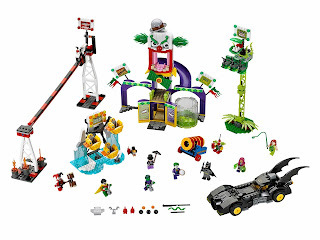 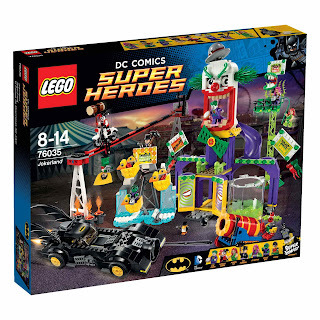 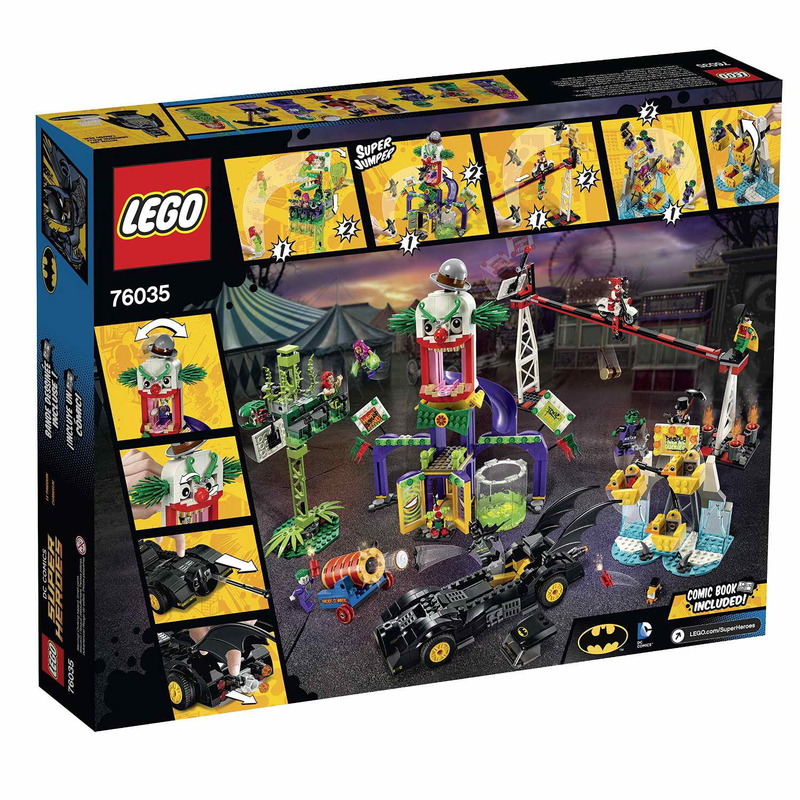 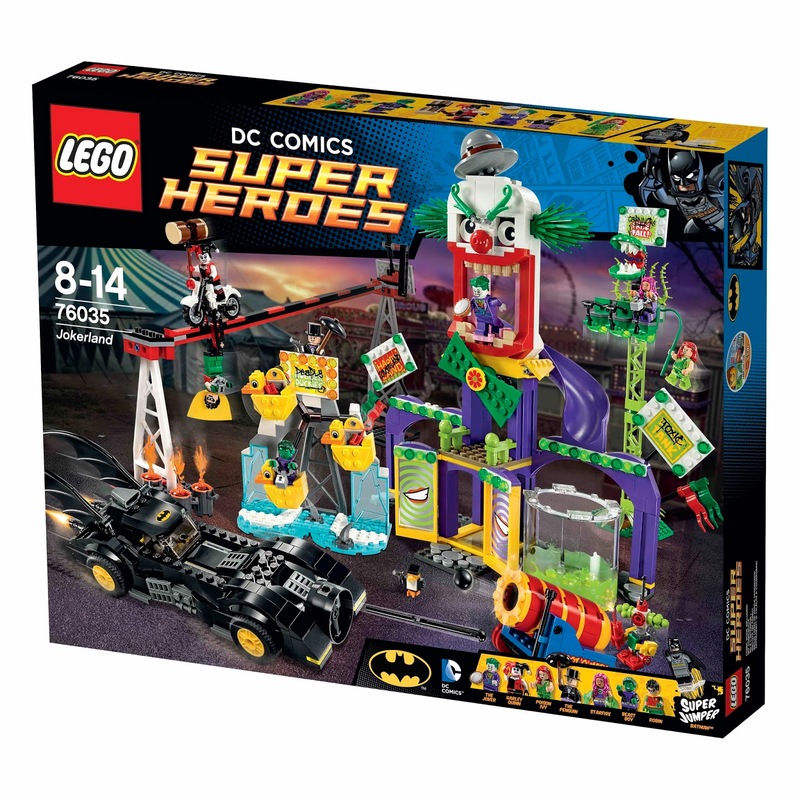 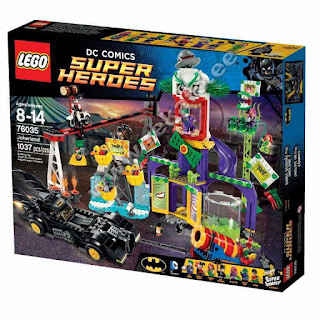 minifigs included a batman minifig, a robin minifig, a beast boy minifig, a starfire minifig, the penguin minifig, the joker minifig, a poison ivy minifig and a harley quinn minifig.